As one of our society`s non-profit activities we co-organize every year some kind of collectors meeting. 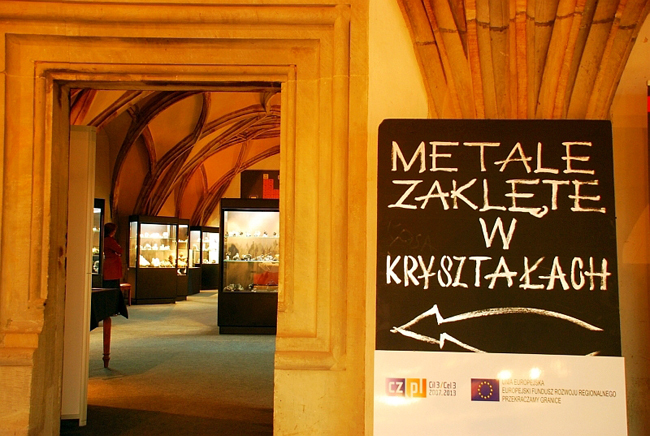 In opposite to the Lwowek Crystals Days, that are dedicated to wide range of visitors, this gathering is only for collectors, professionalists and people interested in geology (including children). Usually about 50-80 persons take part in this event. Every year they can participate in lectures given by scientists, sideshows from geological trips, little mineral show and of course evening parties that bring us all together. Apart from that we organize a trip to some geological site - Ploczki agates field or some local mine. 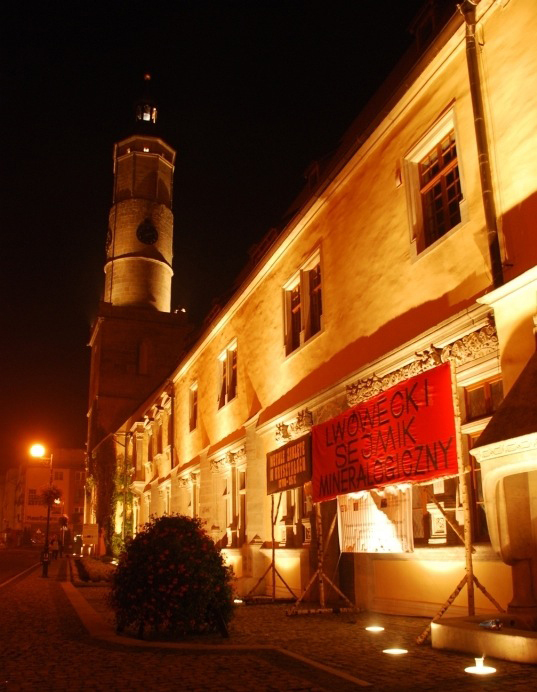 The participants are also invited to prepare their own personal exhibition in the beautiful Lwoweks town hall. Below I translated some parts of a report writen by mother of one of our society`s pupil. They both took part in the gathering. The full report is available here (in Polish). 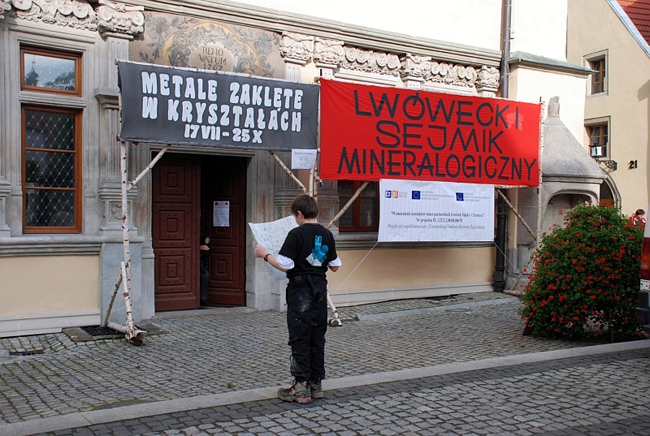 "The last Mineralogical Gathering in Lwowek Slaski took place 23-25.X.2009. 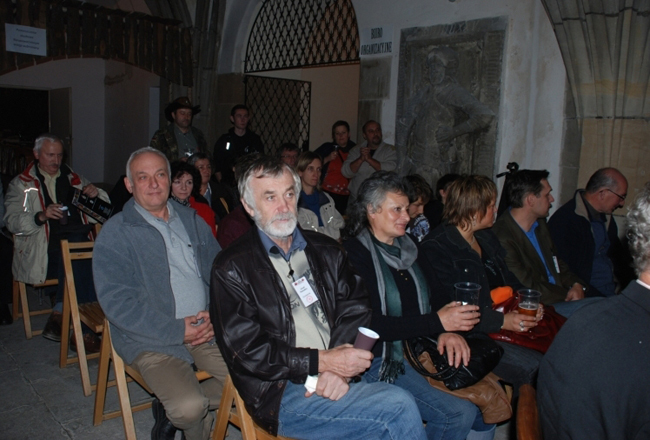 Geologists and collectors from all over the country came for three days to the historical town hall in Lwowek. As always it abounded in many attractions. It started with opening of the photo exhibition from the last Lwowek Crystals days. Every guest received unique publication - "Agates from Ploczki Gorne" edited by Tomasz Praszkier (available for download at our site here ). Preparations of personal exhibitions together with feast took the whole night (...). The next day we had an opportunity to visit copper mine in Rudna and Lubin (ZG Lubin KGHM). The most keen mineralogists gathered on very cold and dark morning at 4.30 am in the front of the town hall from where the bus took us to the mine. We went down to 610 m (Lubin, mineshaft, `Boleslawiec`) and to over 1000 m (Rudna) and penetrated the galleries for a few hours. We moved on foot and with mining off roads vehicles. 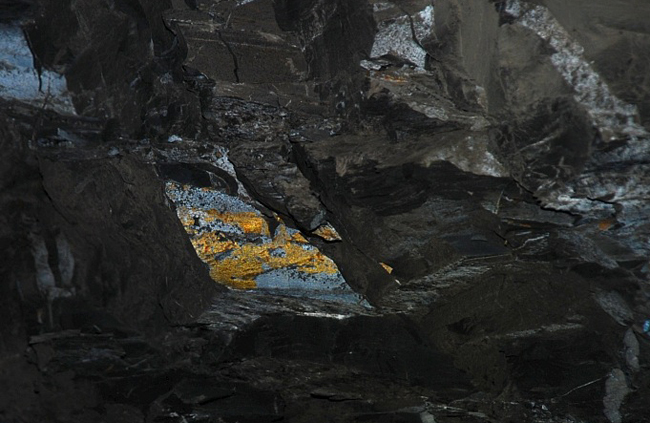 We were familiarised with the geology of the deposits and methods of mining. Apart from that we had an opportunity to visit with foremen the museum of the mine`s director and the collectors could also find themselves some specimens to their collections some minerals and fossils of fishes. This meeting was also the last chance to see the great exhibition "Minerals changed into crystals" (see more about this exhibition here). We spent the rest of the day taking parts in the lectures and other attractions. 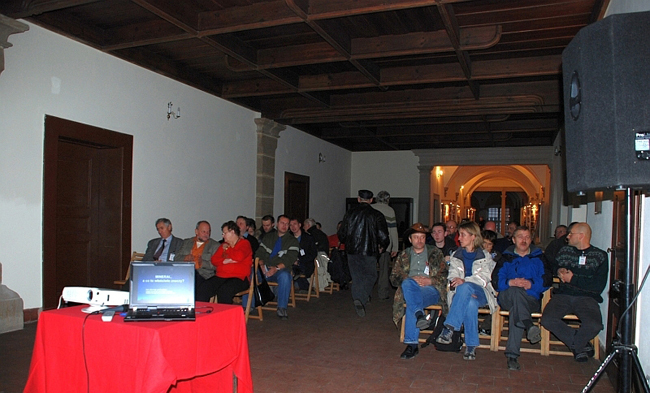 The first one that gathered a whole hall of listeners was the lecture given by prof. Jan Parafiniuk, from the Warsaw University, entitled `Mineral, what does it actually mean?` and the next very interesting given by Marek Lodzinski from AGH (University of Science and Technology) about `Beryls from Sudety`. Both of them were illustrated by numerous of slides and photos. After this official part we could see beautiful photos and hear interesting stories from geological trips that make the essential part of mineral collecting. Marek Lodzinski told us abut his trip to Spitsbergen. The loudest shouts were caused by photos of the polar bear that visited the camp of travellers. After that Krzystof Dembicz from Spirifer Geological Society told us about his amazing visit in the land of extremely rare minerals - Kola Paninsula. It was really interesting to see al those minerals in their natural environment. Of course all of travellers` stories were completed by the facts concerning the substance - geology and mineralogy. In the break between lectures we could refresh ourselves with delicious large loafs of bread with lard, hot beverages, and tables laden with food all of kinds. When we built up our strength we were ready to listen to the last talk. One of collectors from Lwowek presented colourful reportage from the trip to Madagascar - that was organized because of teh 20th anniversary of Spirifer Geological Society by Tomasz Praszkier (you can read more here). The sunny Sunday was the day of little minerals show during which all the collectors could exchange specimens, and visits of exhibitions and of course more meetings and talks. Moreover the youngest participants of the gathering - the members of the "Spirifer" geological workshops for children (these are free lessons and for children organized by our Society here see more here) Maksymilian Jablecki and Jan Okraska with older friends set off on a geological trip. Because of their young age they could not visit the mines (security articles) so they went to the quarry in Racibiowice Gorne where they made a fascinating discovery - bones of trias Nothosaurus. After a few hours of work they managed to prepare the whole vertebra and some bones. When they came back to the Town hall they showed proudly their find to the rest. The youngest collectors made also they own exhibition that contained specimens from their last trip to Ukraine ( soon photo report from this trip will be available at our site). The rest of the day passed mainly on packing of exhibitions and saying goodbye to everybody. We can`t wait to the next Mineralogical Gathering in Lowek, where all people for whom minerals means so much have an opportunity to meet, exchange their experiences and expand their knowledge." Where to start ? Fot. M. Jablecka. Some of personal exhibitions of participiants. Fot. M. Jablecka. The youngest exhibitors from "young Spirifer". Fot. M. Jablecka. 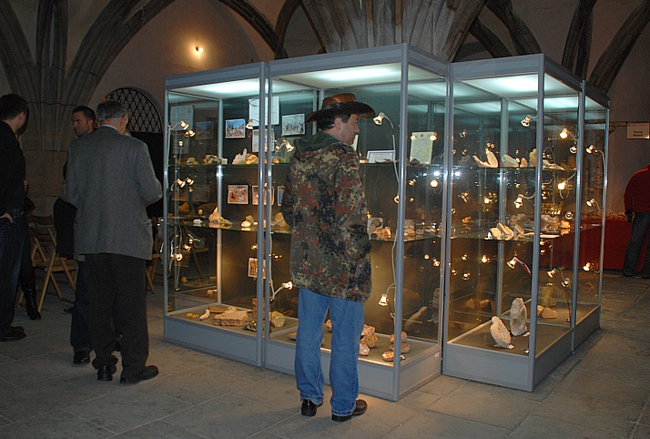 Exhibition "Minerals changed into crystals". Fot. M. Jablecka. 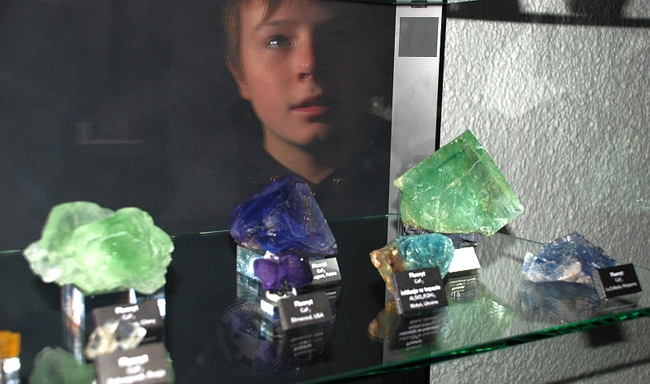 Maksymilian visiting the exhibition "Minerals changed into crystals", fluorites. Fot. M. Jablecka. 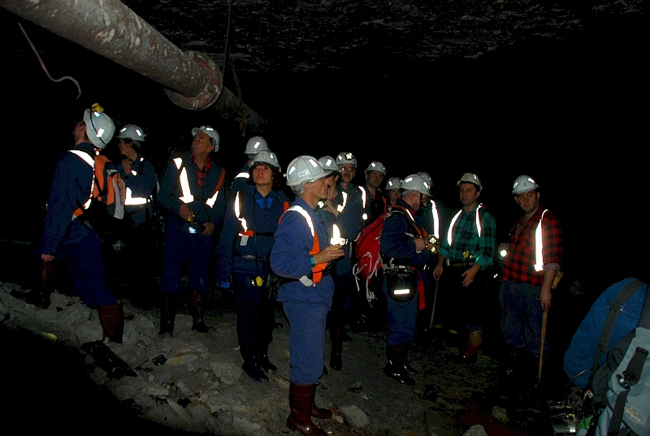 Visiting the Lubin mine, 610 m underground. Fot. M. Jablecka. Chalcopyrite mineralization, Lubin mine. Fot. M. Jablecka. Miners, Lubin mine. Fot. M. Jablecka. 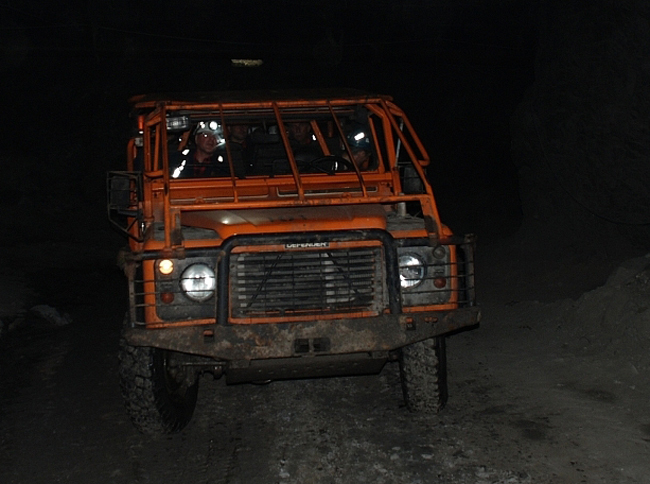 Underground vehicle, Lubin mine. Fot. M. Jablecka. Getting some information on localities from more experienced collectors. Fot. M. Jablecka. 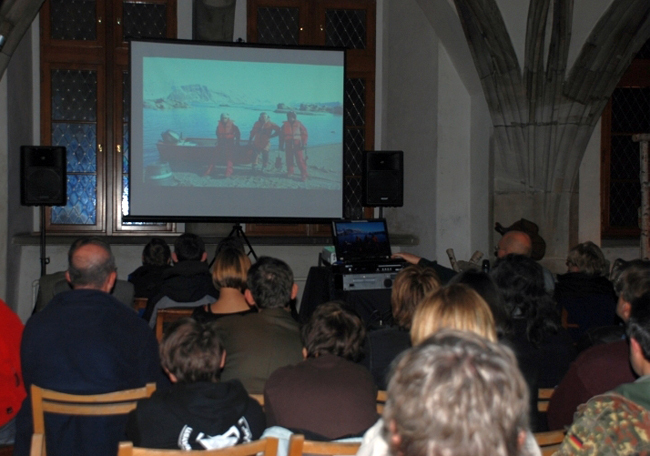 Slideshow and lecture about trip to Spitsbergen. Fot. M. Jablecka. Lwowek Town Hall by night. Fot. M. Jablecka. 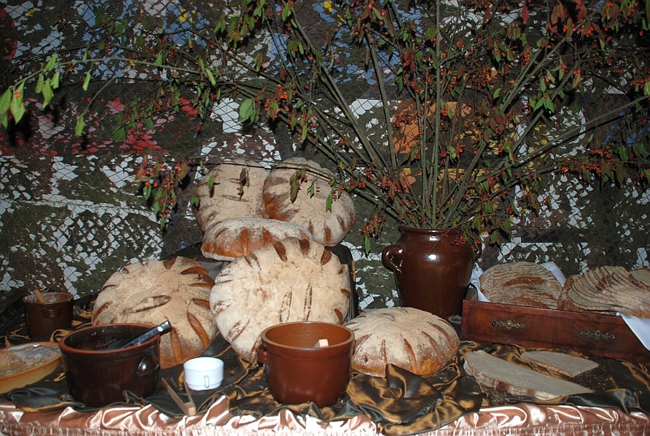 Traditional bread and lard for the hungry collectors. Fot. M. Jablecka. Bone`s Preparation by "young Spirifer`s", Raciborowice Gorne quarry. Fot. M. Jablecka. 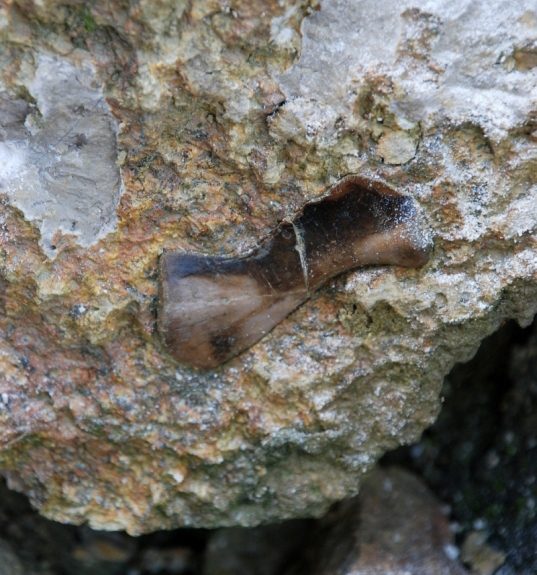 Notosaurus bone found by boys in the Raciborowice Gorne quarry. Fot. M. Jablecka.